You might not realize it by walking in the scorching heat, but the rainy season in the Philippines has officially begun. Despite being late this year, the weather is already fickle enough to make most people postpone their travel plans until it's summer again. While I wouldn't blame you if you do just that, I feel it's a shame to stay cooped up in your apartment and deprive yourself of the amazing feeling even a short vacation can provide. As with many things in life, people tend to focus on the risks and ignore the benefits. If you too find yourself doing that too often, there's no need to feel bad, since most people are risk-averse. This behavior has likely been hard-coded into us through evolution, and is designed to help us intuitively minimize risk and increase our chance of survival. This has already been proven to be a major factor in vacation planning. So, when you think of a winter holiday, you immediately imagine the worst case scenario – when the weather acts up and ruins your whole vacation. But when you think about it on a deeper level, what's actually the risk? Worst case you'll have to spend more time indoors than you originally planned to. Even that can be mitigated by picking a location where indoor attractions are abundant. On the other hand, consider the advantages – prices are much lower, and popular places are not as crowded. On top of that, there are many amazing places which are actually even better during this time. So, if I’ve done enough to convince you a rainy-season vacation isn't such a bad idea, go ahead and take a look at the list of recommended destinations below. If you are still not sure it's a good idea, maybe using a travel agent will convince you. These guys offer organized tours to most vacation spots in the Philippines – and they promise to help alter travel plans affected by unpredictable weather at no additional charge. Subic is a perfect destinations for families with small children. There are plenty of high-end hotels to pick from, and during the off season you can find really good deals. When you swim at the pool and gaze at the beautiful bay, the rain probably won't bother you too much. Another option is going to Ocean Adventure park – where you can easily spend half a day just exploring the various attractions and activities. This is a great activity for the kids, and a perfect solution for having some fun indoors until the rain slows down. Puerto Galera is a small beach town in Mindoro, only 4 hours from Manila. People usually go there for the beautiful beaches (over 30 different ones!) so you might be surprised I've decided to include it on this list. First of all, if the rain isn't too hard then going to the beach can still be a lot of fun. You're much more likely to have it all to yourself, and there's something very romantic about it. And secondly, Puerto Galera is just as famous for having some of the best diving sites in the country. Contrary to what you might think, diving is actually better during the wet season, as long as the weather isn't utterly terrible. Rain makes no difference when you're underwater - all it really means is that the dive spots will be much less crowded. So, Puerto Galera is perfect for couples and diving enthusiasts. This province is actually a mixture of what both Subic and Puerto Galera has to offer – it's perfect for both families and couples seeking a romantic getaway. Batangas is also famous for some truly spectacular beaches, which might not be as appealing if it's raining too much. However, the province is big and there are plenty of other things to do there. If you are into diving, book a resort at Anilao and enjoy some of the best snorkeling and scuba sites near Manila. Those who are interested in local history and culture can also tour the province and visit the countless monuments spread everywhere. These include lighthouses, churches and museums and are all a perfect way to spend some time indoors, while having fun and learning something new. Batangas also has some of the top all-inclusive resorts in the whole country. These are never cheap, but prices do drop significantly in the wet season, especially on weekdays. Since some of these luxury resorts are fully booked in the summer months in advance (especially those near Laiya beach), this could be your chance at a taste of luxury, for only a fraction of the original price. Laguna is famous for three things – its lakes, waterfalls and hot springs. Amazingly, all of these become much better during the wet season, as long as the weather conditions aren't too extreme of course. Another great thing is how close this province is to the city, as it allows you to stay very flexible with your travel plans. Whenever you feel spontaneous and have some spare time, take the trip to this beautiful place and you won't be disappointed. Laguna's stunning waterfalls are especially recommended if it's raining. The downpour makes the current stronger and the falls become much more impressive. Since this is a day tour which wouldn't be complete without getting wet anyway, there's really no harm in some rain. Then, after a full long day outside there's not much better than relaxing at one of the hot spring resorts, found all around the province. While this specific destination isn't strictly better during the wet season, I still decided to include it anyway. The reason is, it's only an hour away from Manila and no planning is required in advance. If you wake up early enough and the weather is fine, you can always hop on the ferry and make your way to the island. 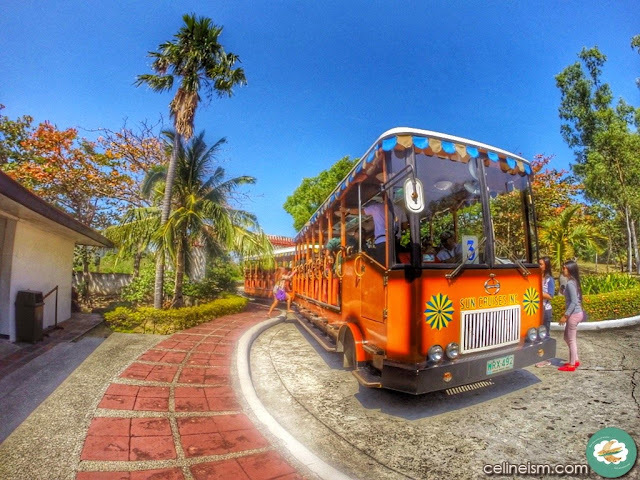 Corregidor Island is great for families, as it offers a day tour full of excitement and learning. The whole experience is organized by Sun Cruises – so you're sure to enjoy a tour guide and a nice lunch buffet. 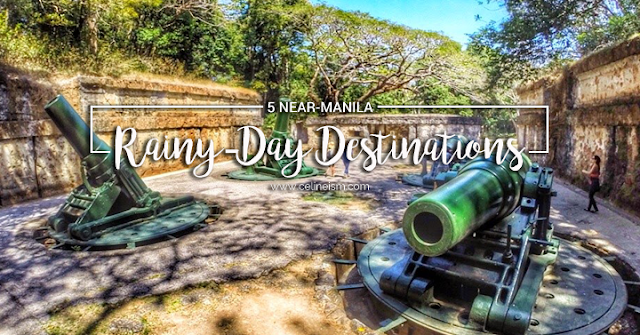 There's a lot of historically significant sites on the island, and it's also full of museums where you can definitely spend some time if it starts raining. On top of that, the views are simply breathtaking. Still not convinced? You can always just stay at home, stare at the pouring rain from your window and count the minutes until summer is here. In the meantime, try reading my guide for the perfect summer vacation. If nothing else, it'll give you something to fantasize about while waiting. What's your favorite thing to do during the rainy season?